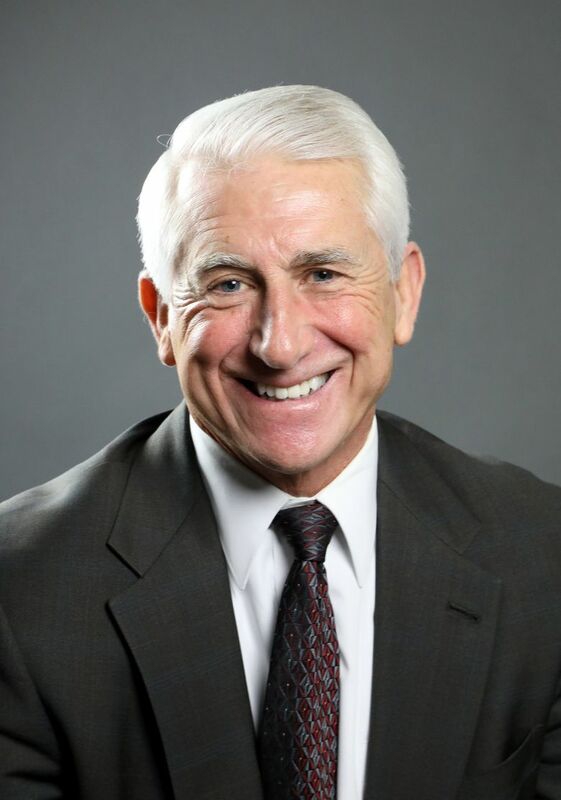 After decades in public office, former congressman and King County sheriff Dave Reichert is headed to the private sector, joining a local lobbying firm. Effective Monday, Reichert has been hired by Tacoma and Washington, D.C.-based Gordon Thomas Honeywell Governmental Affairs (GTH-GA), where he’ll work initially on a federally funded project combating human trafficking in Central America. Reichert, an Auburn Republican, announced his retirement last fall rather than seek re-election to the 8th Congressional District seat he’d represented since 2005. That led to the election in November of Rep. Kim Schrier, D-Sammamish, who defeated Republican Dino Rossi to become the first Democrat to represent the district. In a recent interview, Reichert said he started getting phone calls about his future shortly after he announced his decision to retire from Congress. One came from Tim Schellberg, the president of GTH-GA, who described a project the firm is involved with helping set up DNA databases to track missing and abducted children in Central America. Reichert will not start as a registered lobbyist but will be a vice president with the firm. Federal law imposes a one-year “cooling off” period before ex-members of Congress can seek to influence their former colleagues. But he may wind up lobbying after the cooling-down period expires. “That could come later … as far as lobbying goes, we plan to go by the law,” Reichert said. In addition to the human-trafficking grant, Reichert’s work at GTH-GA will include advising the firm’s clients on trade issues, tapping his experience as outgoing chairman of the House Ways and Means Subcommittee on Trade. GTH-GA is also hiring Sue Foy, a longtime Reichert aide who worked with him at the King County Sheriff’s Office and for his congressional office, mostly recent as chief of staff. The revolving door from Congress to lobbying firms is well traveled for members and their staff, who cash in on valuable government experience and relationships. Out of the 61 members who left office in 2017, 18 joined lobbying shops, according to the Center for Responsive Politics. GTH-GA’s roster of state and federal lobbyists and consultants includes former aides to U.S. Sen. Patty Murray, Rep. Adam Smith, D-Bellevue, and former Gov. Christine Gregoire. Its federal lobbying arm is smaller. The anti-human-trafficking project Reichert will work on was launched by a $4 million U.S. Department of State grant to the University of North Texas Center for Human Identification. The project seeks to help Central American nations, starting with Guatemala, Honduras and El Salvador, develop DNA databases that ultimately would be shared among countries. The goal is to set up searchable databases storing DNA samples from family members of known missing children, according to a description of the project in a federal grant application. That information can be used to identify the remains of children found dead, or to help reunite children kidnapped and forced into prostitution, Schellberg said. Eventually, the data could be shared with U.S. authorities to verify the identities of children who show up at the southern border. Reichert’s role, in part, will be to speak to government officials and others, drawing on his 33-year career in law enforcement, which culminated in serving eight years as King County sheriff. The project includes drawing up a legal framework and legislation to allow the DNA collection from families of missing children — as well as getting multiple governments and law enforcement agencies to share information. “One of the things that we felt was missing was a champion … somebody that can go down there from public service and explain the power of DNA,” Schellberg said. Reichert, 68, says he won’t be based in Washington, D.C., but will remain at his home in Auburn. With a pension from his sheriff’s office days of more than $10,000 a month, which he’d been drawing in addition to his $174,000 congressional salary, Reichert could easily have retired and spent more time at his cabin on Lake Chelan. He estimates his congressional pension he’s now eligible for will pay out an additional $35,000 a year. He and Schellberg did not disclose what he’ll be paid in his new job. Reichert said he’s not ready to lounge about; he sees the human-trafficking work as an extension of his law enforcement career. “I’m just driven, and I see this as a calling,” he said. Reichert leaves political office as no fan of President Donald Trump, whom he didn’t endorse or vote for in 2016. He declined to say whether he believes Trump is fit to hold the office of the president. “That’s up to a doctor to determine whether he’s emotionally or mentally fit to perform the job. But it’s no secret that I’ve said in the past that I have really had difficulty with the way that he’s approached the job. I’ve had great difficulty in the way that he treats people,” he said. Reichert had predicted 2018 was going to be a rough year for his party. Even apart from the “Trump factor” he says he’d seen the 8th District’s population change, leaving it less reliably Republican. Reichert said he hasn’t spoken with Rossi since the election, but he did call Schrier to congratulate her and offer his help with a transition. The two later met for about 90 minutes along with Schrier’s chief of staff and her husband, with Reichert offering advice on the mechanics of running a congressional office, as well as thoughts on the district. “She was full of questions … I was impressed with her,” Reichert said. As for any future political aspirations, Reichert, as has been his habit over the years, would not rule anything out. But he didn’t sound eager. “Running for office, raising money is something that’s very hard for me to do … not difficult in results, but difficult for me internally, you know. I hate it,” he said.